We will start off with Anarchist Communism since it might be the most confusing to the uninitiated. For most people the word "communism" conjures up the most ruthless statism and the "totalitarian" regime while Anarchism conjures up images of chaos and disorder. Neither of these things describe communism, or Anarchism respectively. These meanings are instilled in the popular consciousness by the powers that be, for their benefit. Political propaganda has long associated Anarchists with bomb throwing terrorists who want to destabilize every semblance of order and drop bodies wherever they go. In this sense the joker from Batman might be considered an "Anarchist". Something similar has occurred with the word "communism". When the revolutionary Marxist party "Bolsheviki" took over Russia in 1917 western capitalist powers called this new government "communist". They continued to do so after Stalin had taken power in Russia and did the same with the regimes that cropped up elsewhere in the world during the 20th century that were inspired by that in Russia such as China, Cuba, Vietnam, and North Korea. The Bolsheviks considered themselves to be Marxist communists, but never considered Russia to be a "communist" society. After Stalin took power he declared in the 1930s that Russia was "socialist" which is what the subsequent communist party ruled regimes considered their societies. They maintained that socialism was a path on the way to communism which they were supposedly fallowing. During the cold war capitalist powers called the communist party regimes "communist" to defame what were it's geopolitical enemies while the communist party regimes maintained that they were on the path toward communism to justify their own power. This continues to be the dynamic between the US and it's allies and the remaining communist party regimes such as Cuba and North Korea. For Anarcho-syndicalists to achieve a libertarian socialist society they must implement Anarchist communism and for Anarchist Communists to achieve their vision of such a society they must build an Anarcho-syndicalist labor movement. I very quickly skimmed this, but this is very inaccurate: "Rudolf Rocker, the founding father of Anarcho-syndicalism"....... Rocker may have been to most articulate of those who wrote in english, language but that's about it. 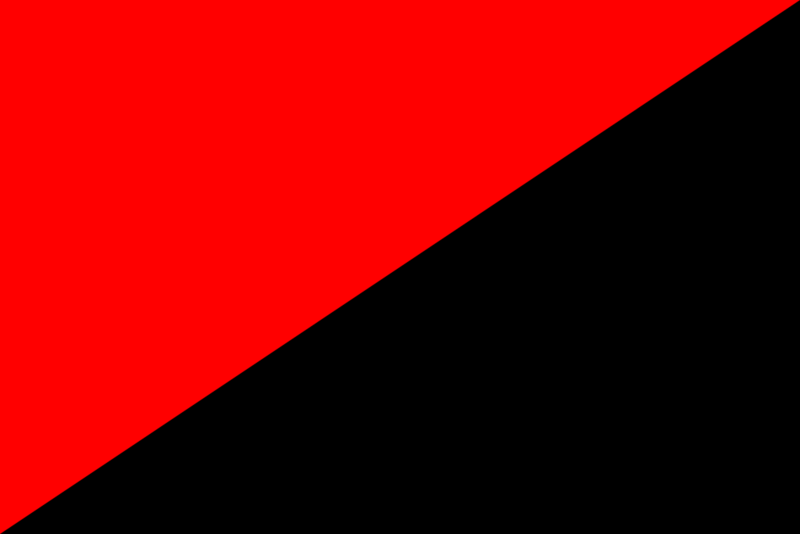 Theoretically, one could argue that Bakunin first outline the nascent concept of anarch-syndicalism. And the Swiss Jura Federation being one of the earliest practitioners of anarch-syndicalism. Thus, preceding Rocker. I posted this to this user on Facebook, but for clarification for people on here: I'm aware of that. "Founding father" doesn't have to mean "the first person to come up with the idea". It can mean someone who laid important foundations of the idea's later development, at least that's what I meant when I wrote this article. In general I think its a great idea to write something like this for newcomers. I only think that there is to much focus on bombthrowing anarchists and mass-execution-statists for an introduction on anarchist-communism. It writes more on what its not then what it is. I think its way stronger to not fall into the frame our enemies set up for us. People find out that what we say it is, is different from what our enemies say, if they are familiar with that slander. Next to that, if you ever plan to make a revision, I think it might be strong to also make reference to the anarcho-syndicalist movements outside of Europe. In South-America there have been very strong anarcho-syndicalist movements, and today we also see an upsurge of anarcho-syndicalism in for instance Bangladesh. With that you can show that its not only a "western" concept, but something worldwide, and also not something of the history books. Anarchist-communism came out the First International which had a federalist majority in favour of what was latter to be called "syndicalism." Bakunin advocated militant unionism as a means of both fighting and replacing capitalism, although he also recognised that workers councils would form spontaneously as well. Kropotkin advocated a similar strategy in the late 1870s and again in the early 1880s, once out of a Russian prison. He consistently argued this his whole life. The same can be said of Malatesta. Revolutionary syndicalism came about when anarchist-communists applied this strategy again in France in the 1890s -- Kropotkin and Malatesta, along with Louise Michel, were advocating the general strike in 1889 and 1890, incidently (Bakunin had raised it in 1869!). However, success meant they downplayed, when not rejecting, the need for a specific anarchist organisation -- as Bakunin, Kropotkin and Malatesta argued. This was because unions were not inherently revolutionary and there was a need for anarchists to organise as anarchists to influence them in a libertarian direction. So, the difference between anarcho-syndicalism and anarcho-communism really does focus on the need of an anarchist federation. So while a few anarcho-communists rejected syndicalism (and often the need for an anarchist organisation! ), the bulk followed the example of Bakunin, Kropotkin and Malatesta and took part in the union movement and sought to make them apply anarchist tactics and organisational practices. 1) Is it not the case that the tendency that advocates 'collectively owned enterprises which buy and sell to each other' etc is called anarchist collectivism? Would it not have been a good idea to so name it? 2) Is it the case that anarcho-syndicalist organisations have generally advocated anarchist communism rather than anarchist collectivism? 3) Alain Pengam's 'Anarcho-Communism' ( https://libcom.org/library/anarcho-communism ) : what are the views of Anarcho, Ivysyn or others on this piece?